For more information on all of our Service capabilities please don't hesitate to at 856-224-1400. Tri-Steel Corp., we have three HE&M Vertical saws giving us the capability to cut our materials at a maximum width of eighteen inches to a height of twenty-one inches at a 45 or 90 degree angle. 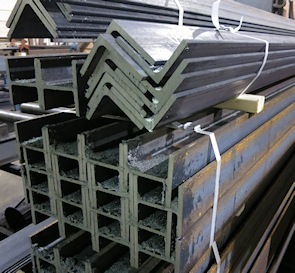 Some of the products we saw cut, but are not limited to are beams, angles, channels, pipes, flats, and tubes. The HE&M Saw Cutting Systems use dual controls to achieve a near constant cutting rate to allow the fastest and straightest cut possible. At Tri-Steel Corp., customer satisfaction remains our main priority. For more information on all of our Saw Cutting capabilities please don't hesitate to at 856-224-1400. 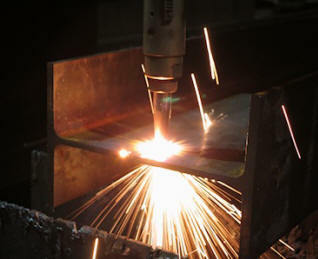 Tri-Steel Corp., Platemaster Hi Def plasma cutting machine. 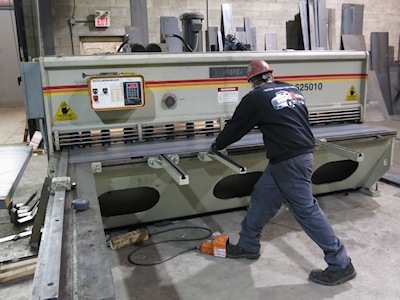 This machine has given us the ability to custom cut from 16ga sheets up to 1.25” plate. 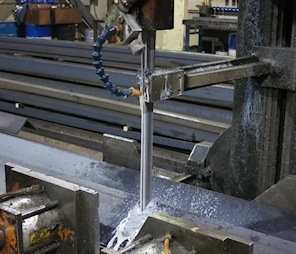 What is more exciting is this machine gives us the ability to also cut stainless, and aluminum. Designs include from the simplest squares and circular pieces to the most unique designs imagined. 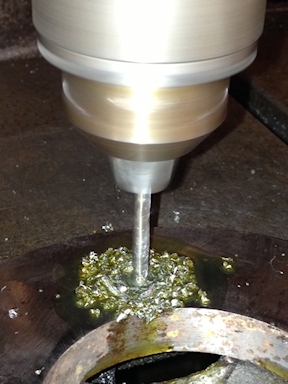 All finished products will either be grinded or deburred to ensure the highest quality and customer satisfaction! 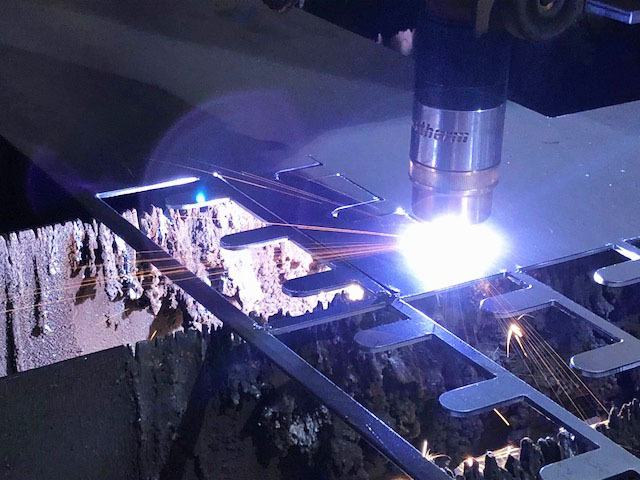 For more information on all of our Hi Def Plasma cutting capabilities please don't hesitate to at 856-224-1400. 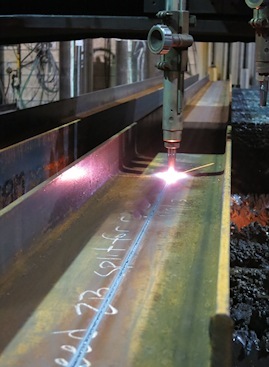 Tri-Steel Corp., We perform our flame cutting services with two top of the line Koike Aronson Oxy-Fuel Cutting Machines. 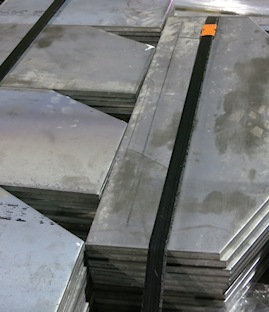 We can cut through any grades of steel ranging from ¼” to 6” thick, and up to 480 inches long. For more information on all of our Flame Torch Burning capabilities please don't hesitate to at 856-224-1400. 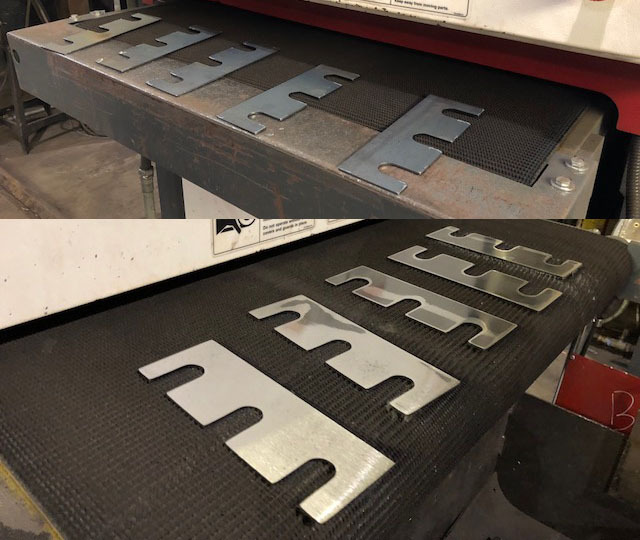 We have added a new shear to our line-up that has allowed us to increase our cutting abilities from twenty-four gauge sheets up to ½” plates. Our shears are hydraulic based guillotine that can cut up to 144 inches wide. 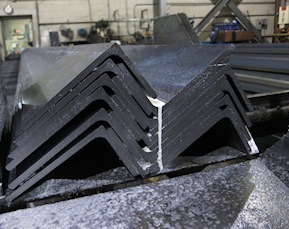 At Tri-Steel Corp., we take pride in our cuts as we ensure the most accurate cuts within customer tolerances. 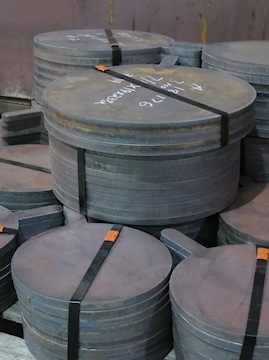 The plates we generally shear are hot-rolled, galvanized, cold-rolled, aluminum, and, diamond plate. For more information on all of our Shearing capabilities please don't hesitate to at 856-224-1400. Our equipment has the capability of punching, shearing, and notching our steel pumping at 110 tons at twenty eight strokes per minute. Having this equipment in our shop extends the services we do at Tri Steel Corp., to obtain the full package for our customers needs. 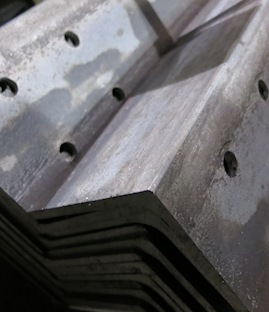 We can punch up to 1-1/8” thick steel with a 1-1/8th inch hole or 1-1/8” squares in 7/8” thick steel. 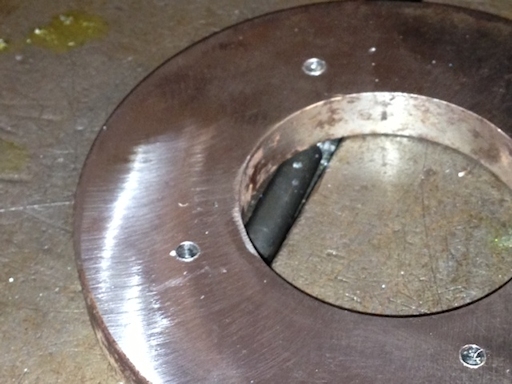 When a larger hole is necessary, we have the ability to punch up to a three inch hole through 3/16” plates. If punching is not preferred, we have the option to complete the task with our accurate flame-torch burning or drilling. Your needs are our number one priority! 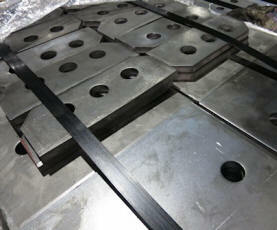 For more information on all of our punching capabilities please don't hesitate to at 856-224-1400. Drilling is one of the simplest tasks, but can be very time consuming. However, we have an abundance of drill presses and handheld drilling machines to allow us to perform at a faster rate to meet your timetable. 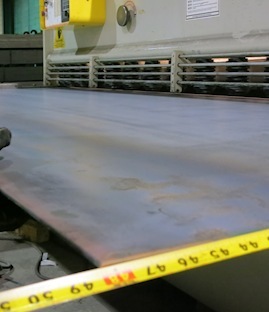 Our machines can drill up to one inch thick plates at a width of 1-1/2” diameter. 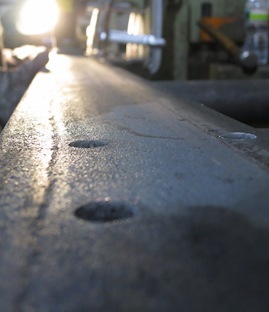 We ordinarily drill through beams, plates, channels, and flats for our customers, but if your needs are unique, we will be your key to finding the solution. If we can not satisfy your needs of drilling, ask about our flame-torch burning or punching! For more information on all of our Drilling capabilities please don't hesitate to at 856-224-1400. Here at Tri-Steel Corp., our goal is to serve our customers with the highest level of integrity, and create the upmost satisfaction to meet your needs. 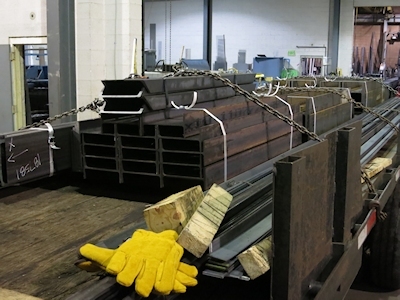 We understand the importance of every piece of steel, and the rush that at times may be necessary. We offer next day delivery in the Tri-State area on most stocked items, same day pick up, or we can arrange emergency services if necessary. 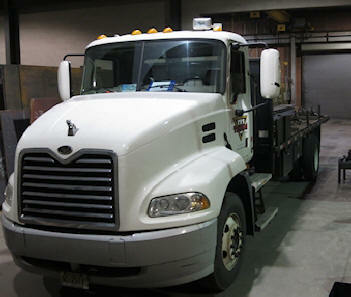 Our customers are our main priority that is why we arrange our company trucks according to their needs. We realize not all facilities can accommodate a tractor trailer, have cranes to unload the steel, or may need an early A.M. delivery. But for our customers, we tend to their specifications using our line-up of trucks varying from a small pick up and steak bodies to a tractor trailer. Although, we do not stop at just making our trucks accessible; we also do not charge a fuel surcharge for our deliveries. 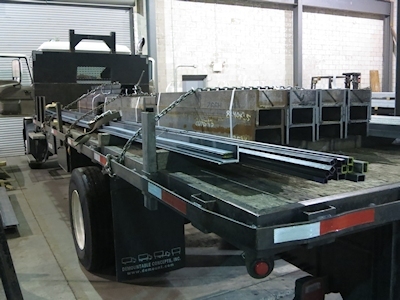 Our delivery services have not changed over the past 35 years while in business, as we standby our beliefs that service is our backbone, and it’s steel when you need it! For more information on all of our Delivery capabilities please don't hesitate to at 856-224-1400.